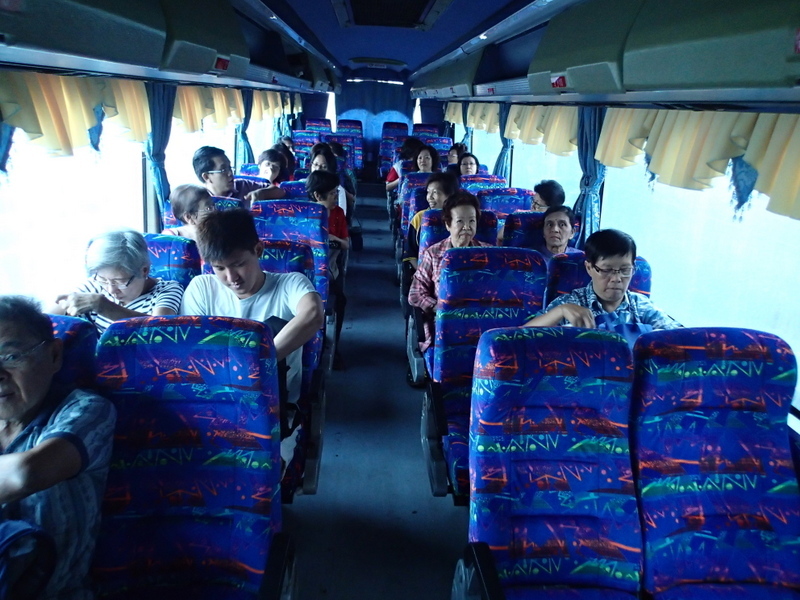 The main reason to visit Taiping was this time the excursion organised by the Taiping Heritage Society. 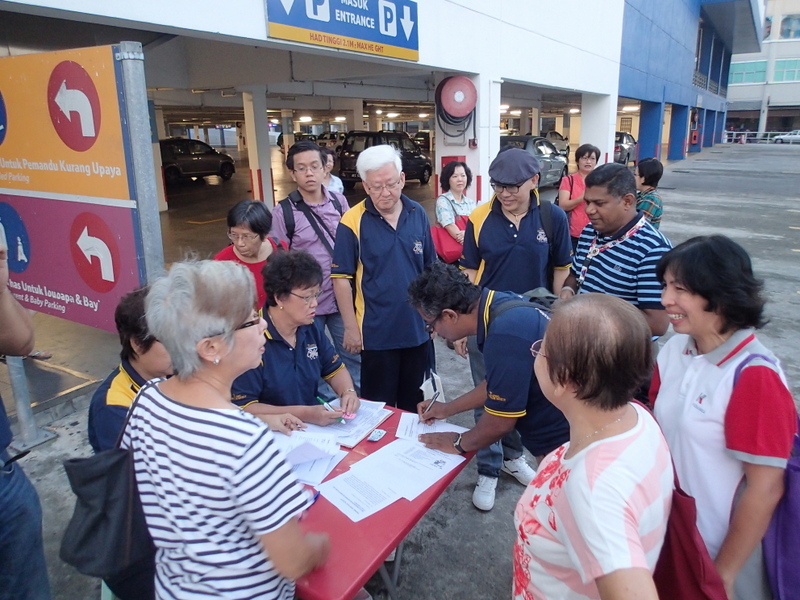 See the separate post THS excursion. But there was more. 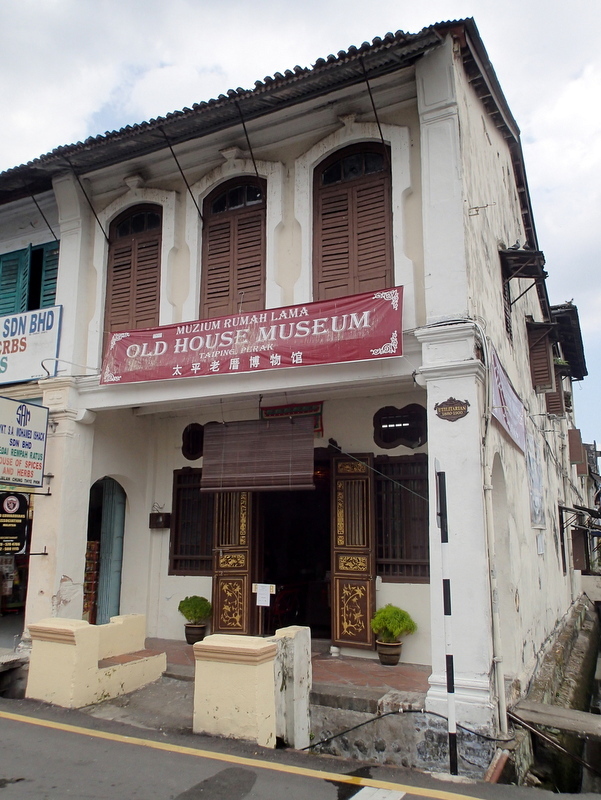 I also wanted to visit the recently opened “Old House Museum“, located at Market Square. 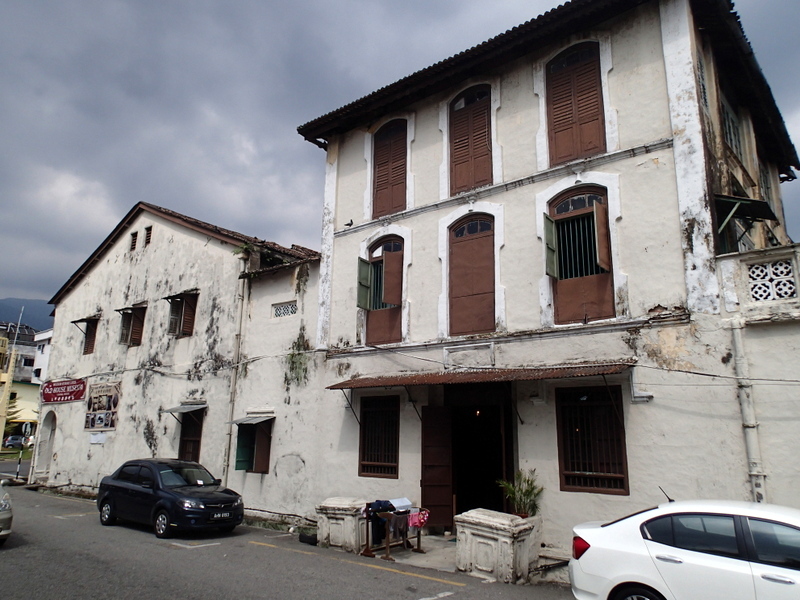 And an old house it certainly is, built ~ 1880 by a Chinese merchant Lim Ji You, after the big fire that destroyed much of Taiping. 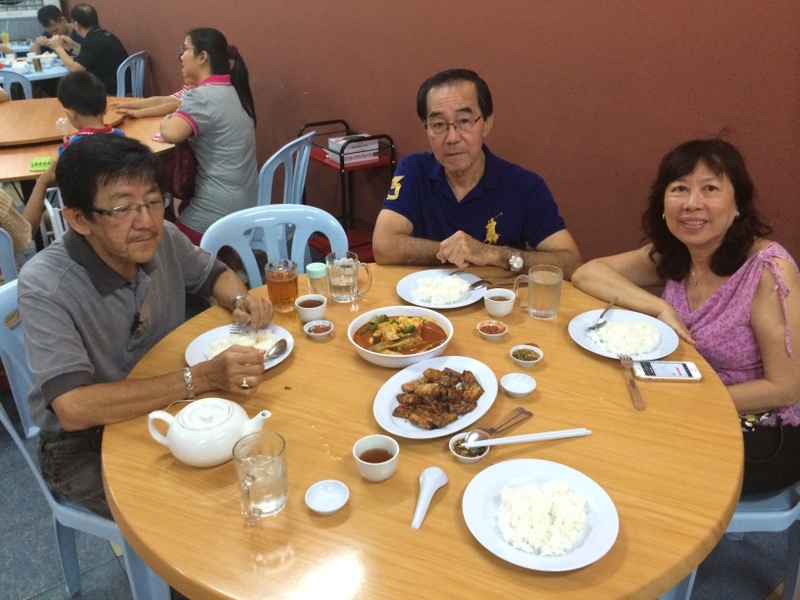 The two nights I stayed in Taiping this time, I had dinner with my friends. It is never a problem to find a suitable place for food, be it a food court, a small stall or a more posh restaurant. 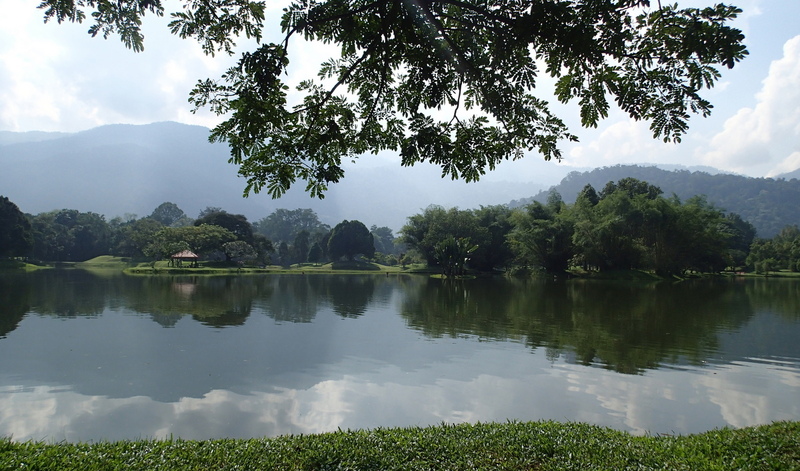 Of course a visit of Taping is not complete without a visit of the Lake Gardens, the most beautiful gardens in Malaysia. 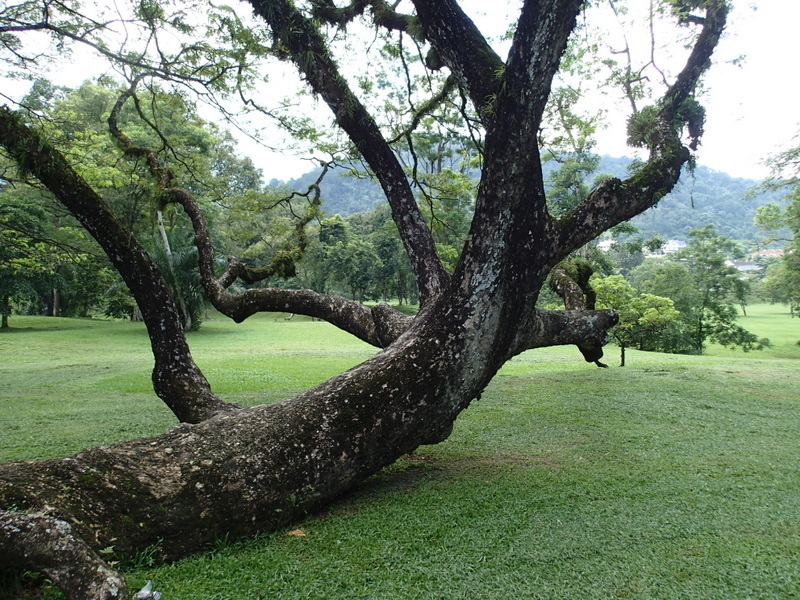 Here a few more Taiping pictures. 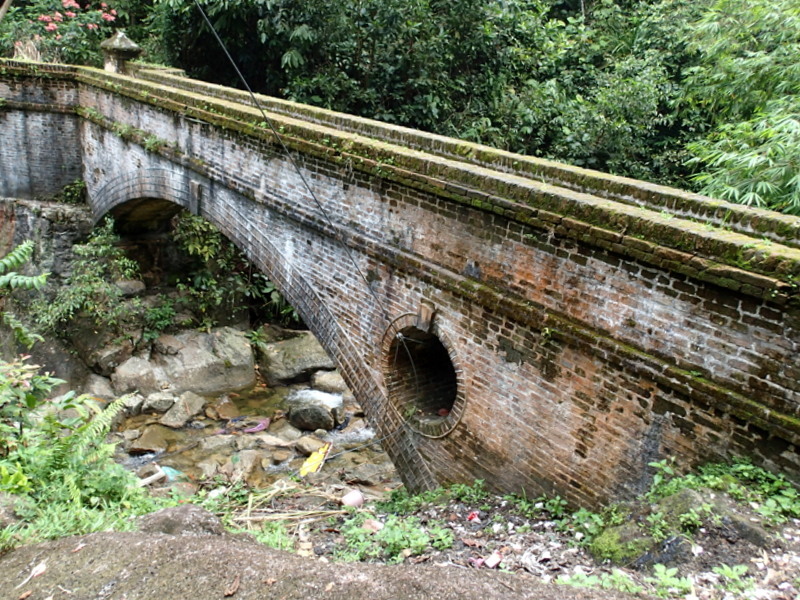 One of the old bridge near the Indian temple and the Coronation pool. I am still trying to find out who built this bridge and for what purpose. One picture of a rain tree. 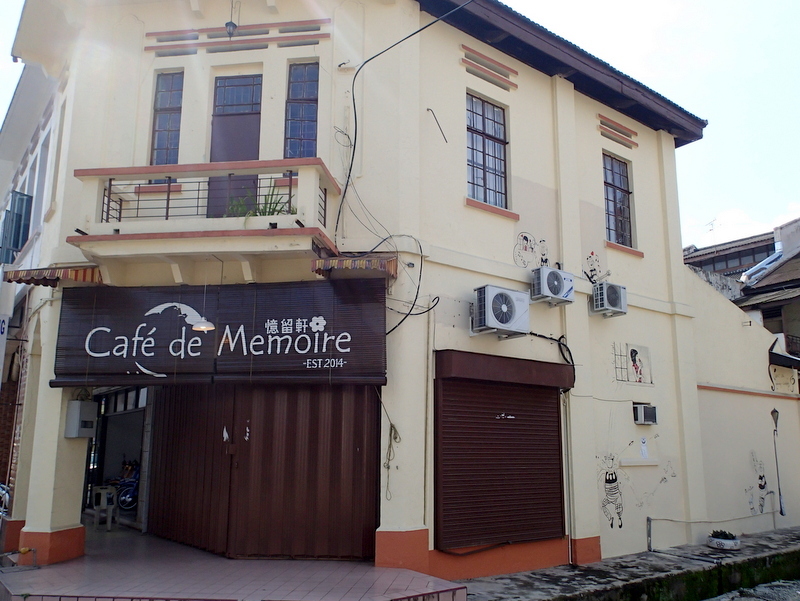 And finally a picture of one of the eyesores of Taiping. 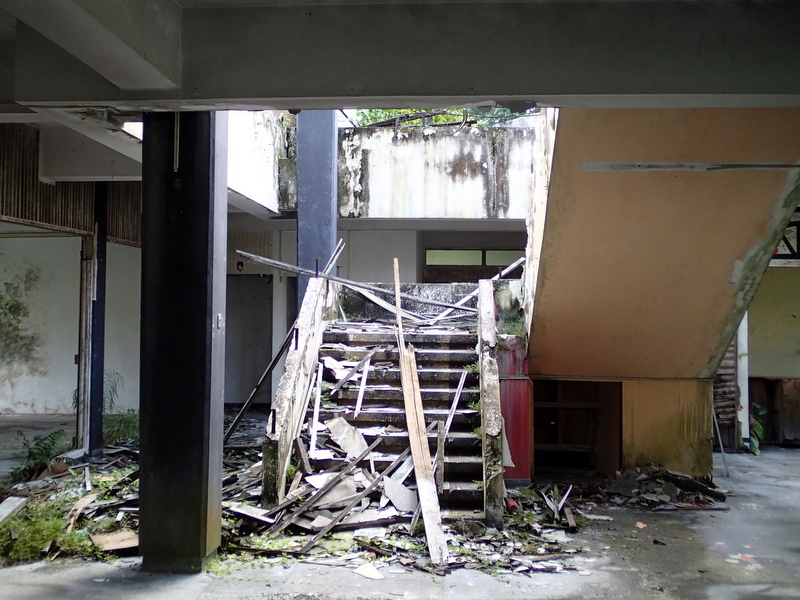 The remains of the Casuarina inn, on the location of the former British residence. Shameful that this historical place has gone down the drain. 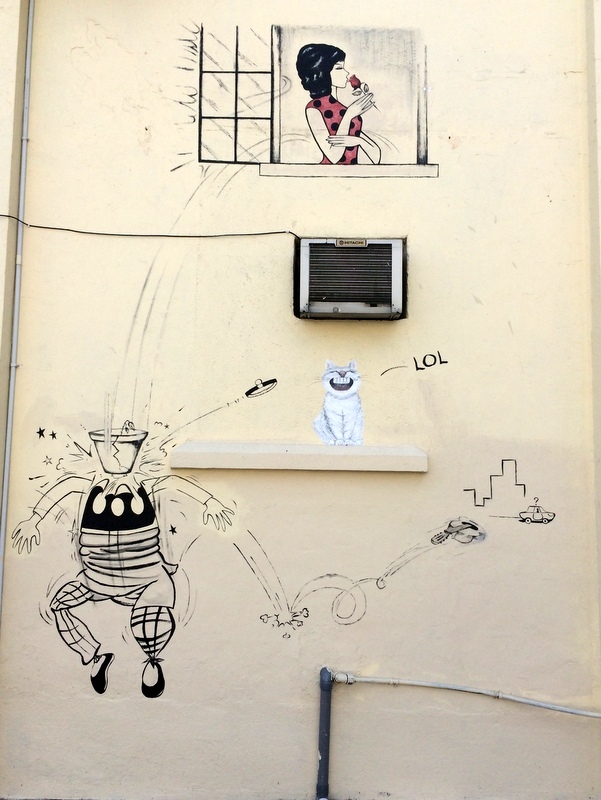 More interesting is what is happening in Gopeng, south of Ipoh. In the past a famous tin-mining town, now a sleepy hollow, but with a lot of historical interest. Along the Jalan Pasir and Jalan Tasik, unknown(?) 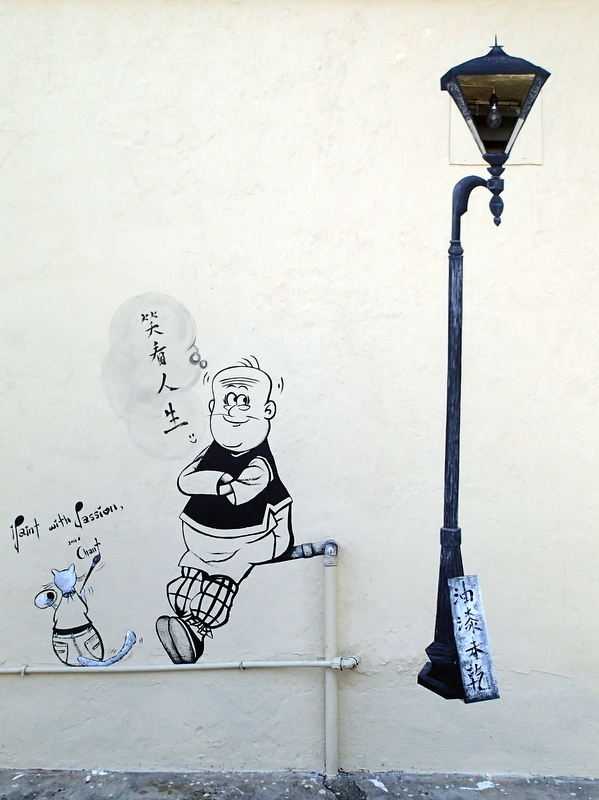 artists have recently created a number of mural paintings and also street art in the style of Zacharevitch. Definitely worth a visit! The first stop was at Lenggong town for a dim sum breakfast. Next we went to the Lenggong Archeological Museum, where we were welcomed by the Assistant Curator, Puan Nuraidah. We watched a nice, well-made documentary about the archaeology of the Lenggong valley, where in 1991 an 11.000 year old skeleton was found in one of the many limestone caves. Now known as the Perak Man. During my earlier visit of the museum, only a copy of the skeleton was shown, but in 2012 the Lenggong Valley was listed by UNESCO as a World Heritage site and just a few months ago, the original skeleton has been brought back to the museum. 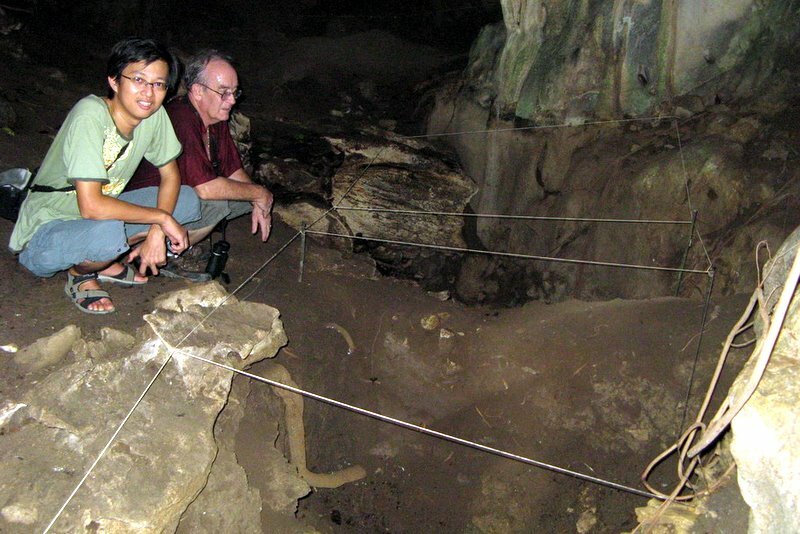 Originally the plan was to visit the Gua Runtuh, where the skeleton was found, but it is out of bounds now, probably will become a tourist attraction. When I visited the caves in 2007, you still could enter freely, although after a stiff climb. Here is a picture from my archive. 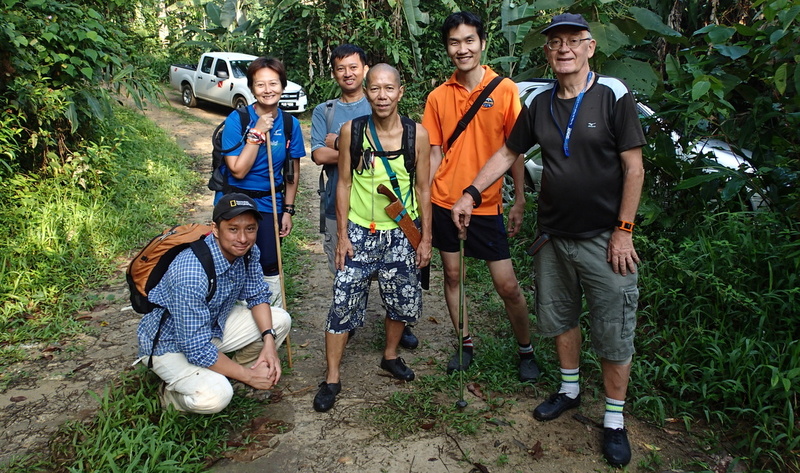 Instead we visited another cave, the Gua Tok Giring, near Lenggong. To enter the cave you need proper equipment, so we just had a look at the outside, while our guide Neal was giving information about various aspects of caves. Then it was time for lunch. 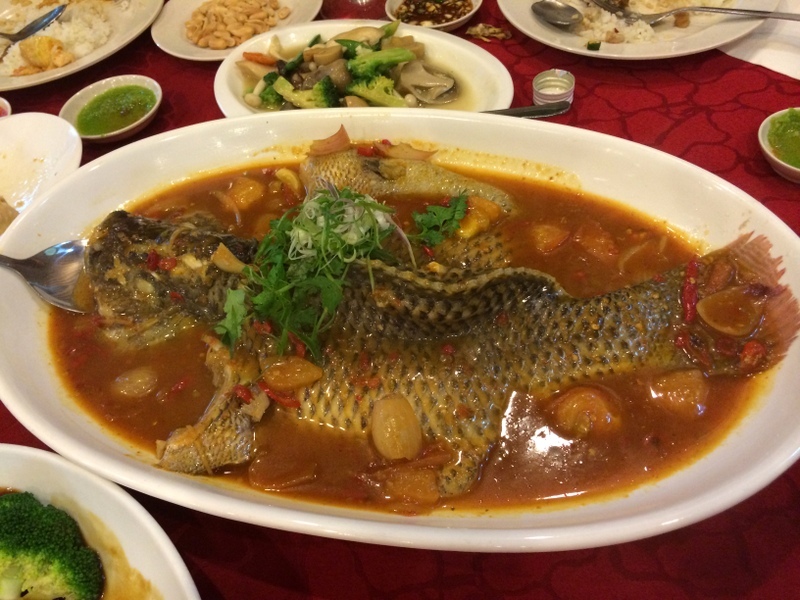 Lenggong is well-known for its freshwater fish restaurants and the famous fish balls. THS had booked an eight-course lunch, organiser Sharon had warned us that there were six fish balls for each of us, three fried, three in the soup…:-) Of course we obeyed her! The food was plenty and delicious. 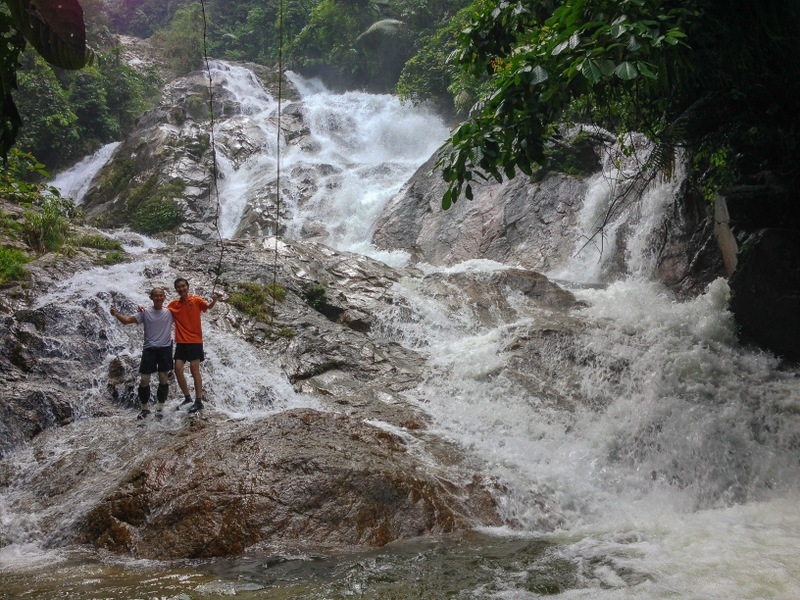 Our next destination was the Kekabu waterfall, between Lenggong and Kuala Kangsar. The experienced bus driver managed to manoeuvre the bus to the parking near the waterfall, from where it was an easy walk to the falls. Unfortunately the hanging bridge crossing the river had collapsed. Only a few daredevils managed to reach the other side. After the waterfall we proceeded to Sayong, a small village near Kuala Kangsar, famous for its pottery, the Labu Sayong. Here too our driver had to prove his expertise, because the factory was located deep in the countryside. We got an interesting demonstration how to decorate the pottery, for many in the group this was the highlight of the trip. We arrived back in Taiping at 6:00 pm. A well organised trip, looking forward to the next one. Nice group of people. 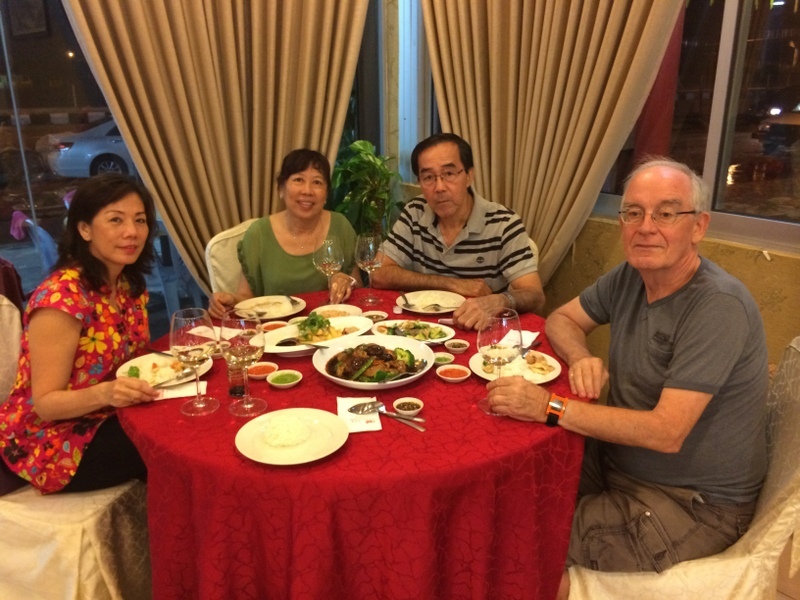 What especially pleased me, as a Kwai Loh, was the racial harmony, nowadays often lacking in Malaysia. 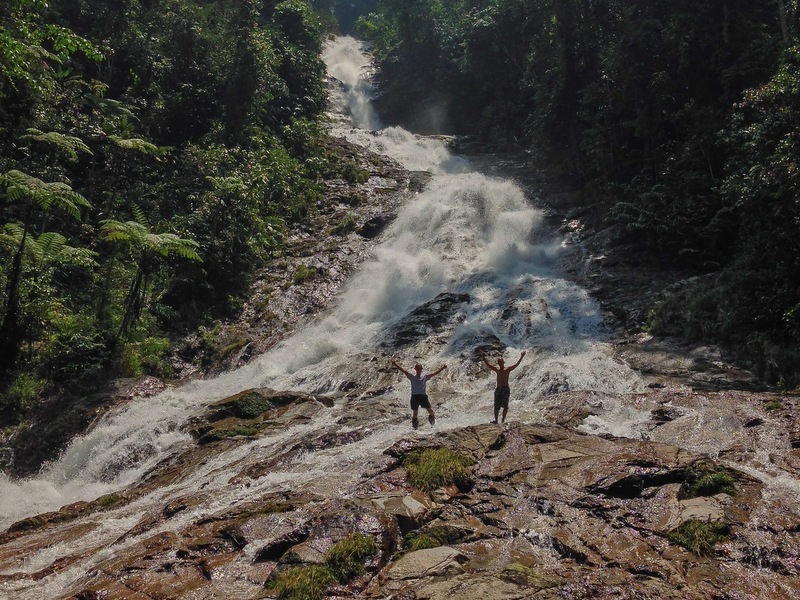 In 2009 my friends Siang Hui and Harry (†) discovered beautiful waterfalls in the Dipang river. A few months later I visited these falls myself, here is a report. During this trip I met Jinnah, a friendly Semai from Pos Dipang. 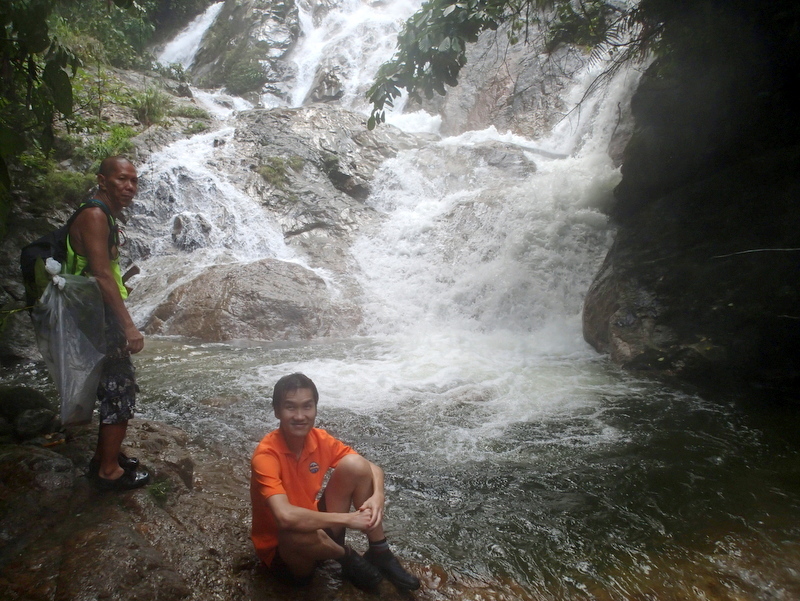 He told me that that were more waterfalls upstream. Within a period of a few months, I came back three times. The last time Jinnah took my friend Rani and me to the very remote upper falls. The report can be found in Three times Dipang. That was four years ago.Time to go back, with a group of friends. A camping weekend. We met as usual at the mamak near my condo for breakfast. From left to right Aric, Janine, Edwin, Teoh and Nick. On our way to Pos Dipang we picked up Eddie at Tanjung Malim. After we arrived in the Orang Asli kampung, we asked for Jinnah, as I had not been able to contact him earlier. 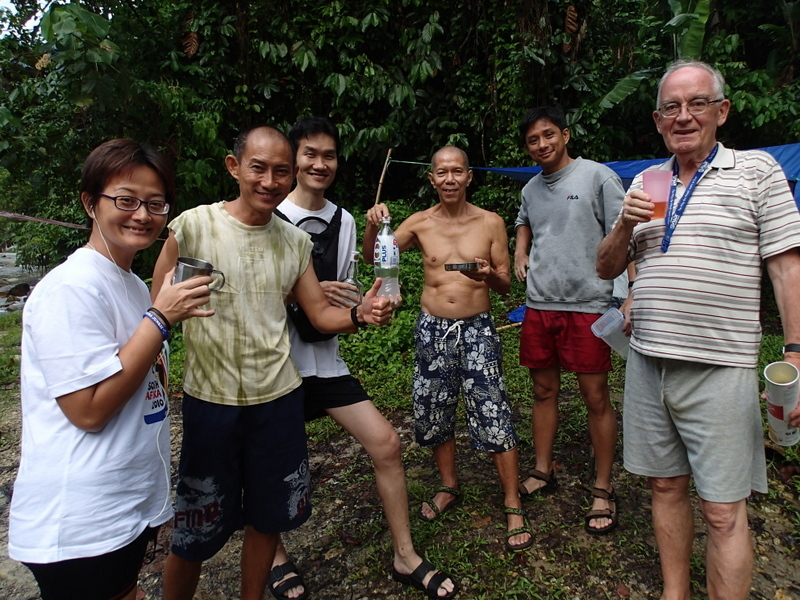 It was nice to meet him after four years, but at first it did not look good, because somebody had died recently in the kampung and he was not sure if he could guide us into the jungle. 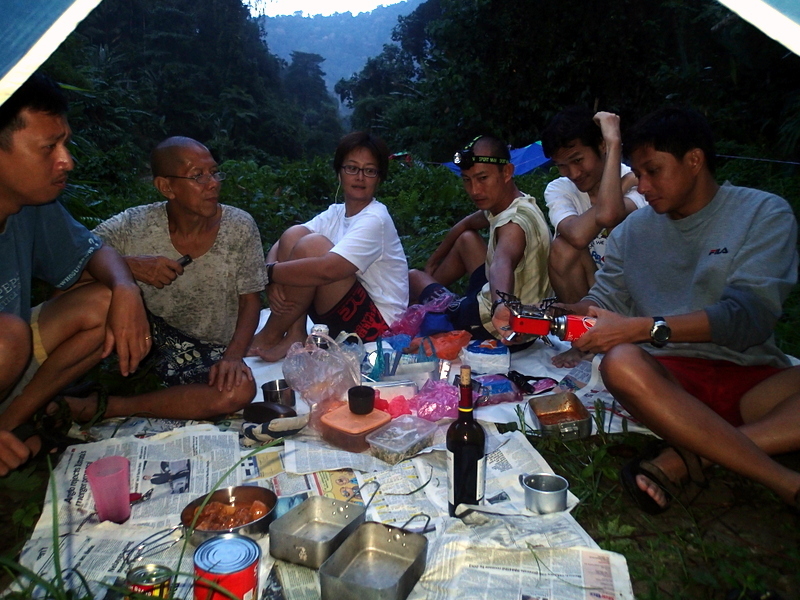 We went with him to the penghulu to ask permission to camp. 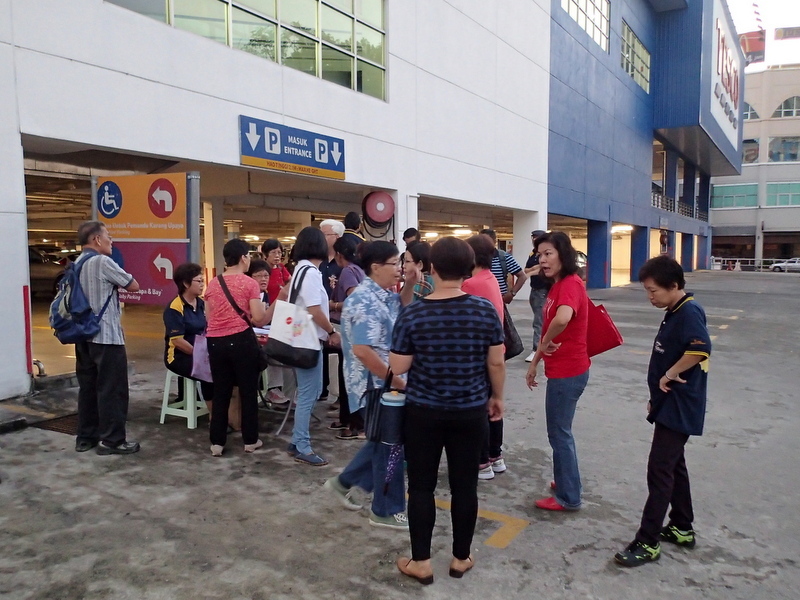 That was no problem, but the penghulu asked us to report at the police. While Edwin went to the police station, we went already to the campsite where Rani and I had camped four years ago. At first Jinnah was not happy with the location (too close to the river) and suggested a location a bit further upstream. But after some discussion we decided it was better to camp at this spot. Hurriedly we put up our tents, as the sky was darkening. We had planned to explore the nearby falls in the afternoon, but we had to take shelter in our tents. Fortunately the rain stopped around 5 pm, so we had a relaxed evening. Jinnah came to tell us that he would guide us to the upper falls. That was good news, I had GPS tracks taken during my visit four years ago, but I expected the trail to be overgrown, as Jinnah told us that almost nobody ever visited these remote falls. Jinnah guided us on a different route, because after my last visit a logging road had been opened. A steep climb, but very fast compared with the old route. Nice views of the surrounding jungle. When we entered the jungle, we first followed a rather clear trail to a pettai garden. After that, our two guides had to do a lot of chopping until we reached the river. There were legions of leeches, Jinnah used tobacco as protection. River trekking is fun, but also slow. After 2.5 hours hiking we reached the bottom of what I had called fall nr 4. The real name is Lata Cheroh. During my 2010 trip I had seen this waterfall only from the top, so this was a new fall for me. Very impressive, but my pleasure was spoiled by the large number of bees…:-( So we took only a few pictures before we continued. To reach our final destination, we had to scramble up a really steep slope until we arrived at the top of this waterfall. From there it was an easy, short river trek to the bottom of Lata Merjur (fall nr 5). Because of the rainy season the water flow was spectacular. What a waterfall! Here is a video of the fall. Because of the bees we did not stay long at the fall. As the weather was still good, Jinnah decided to go back the same way, river trekking. With (heavy) rain, that would have been too risky. In that case the best way back would have been a jungle trail with a lot of chopping. Now we were back around 3 pm. On this GE screenshot you can see how remote the location of the waterfalls is.